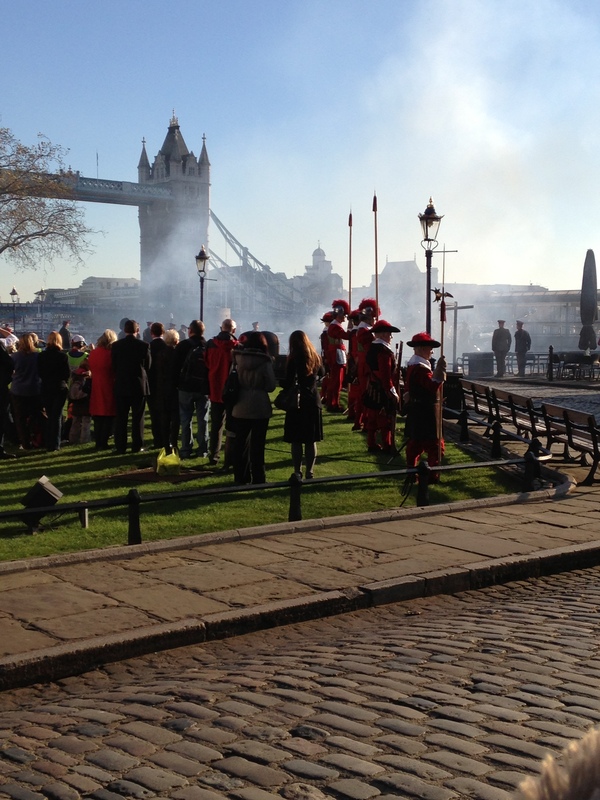 Found out on the Londonist this morning that it was Prince Charles’ Birthday today, and they were firing 62 cannon shots from the Tower of London! I’m not a huge royalist at all, but YAY CANNONS! So I headed down at lunch and got a few photos and listened to the 62 loud bangs.